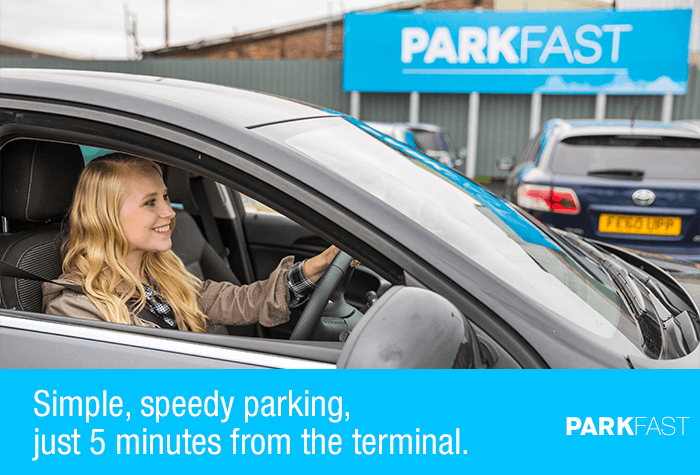 Parkfast at Glasgow is the perfect service for those who want a simple, yet efficient car park. 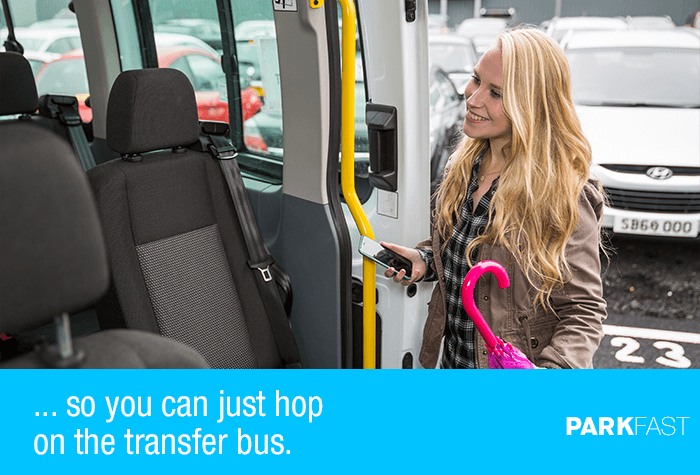 When you arrive, find yourself a parking space, then simply catch the bus to the terminal and you'll be at check-in in 5 minutes. You also get to keep your keys with you, so you know your car will stay exactly where you left it when you get back. If you're after a speedy service that puts you in control, then this is the perfect Glasgow airport parking for you. Our customers rated Parkfast on average 9/10 (675 reviews). Read Parkfast reviews. 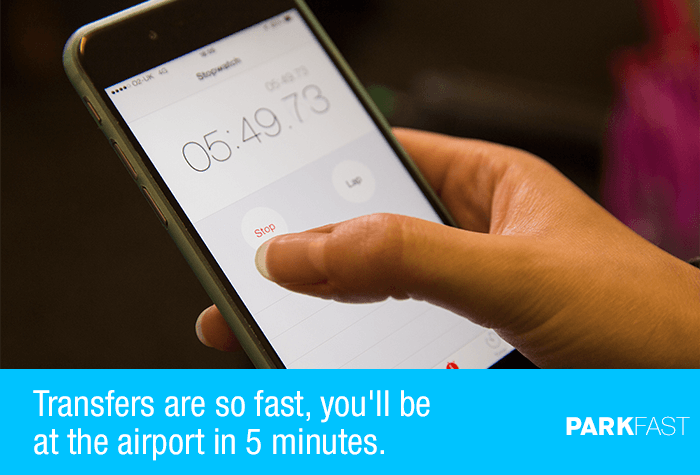 ParkFast is all about speed - simple, secured parking, just 5 minutes from the airport. 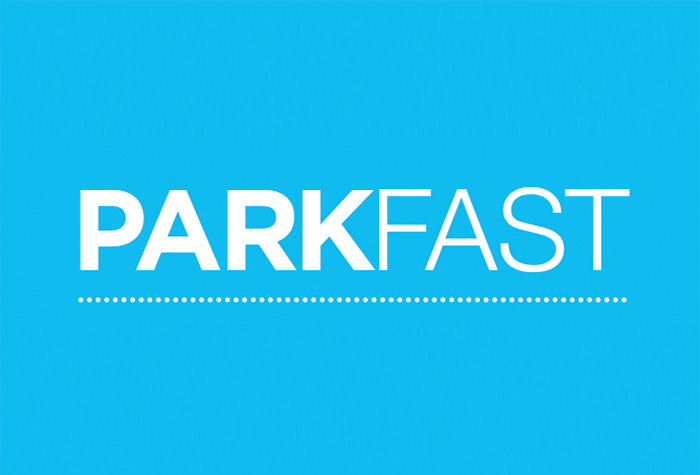 If you're looking for a speedy parking process, 'ParkFast' is a great option - it's parking made simple. The automatic barrier will recognise your car when you arrive. Simply drive in and park your car. 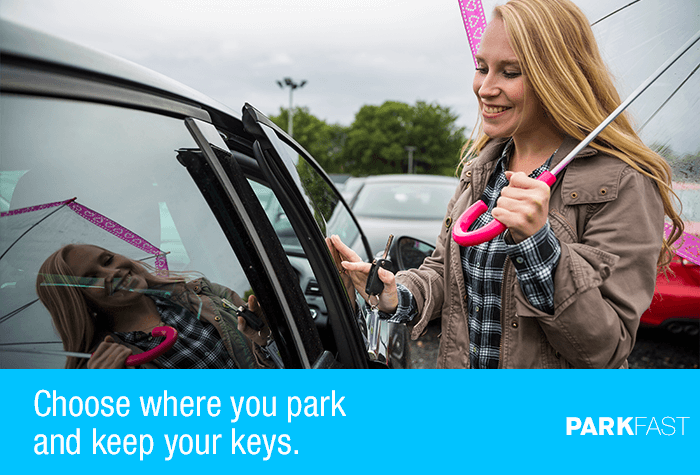 Since you get to keep your keys, your car will stay exactly where you leave it. Hop on the transfer bus to the terminal. 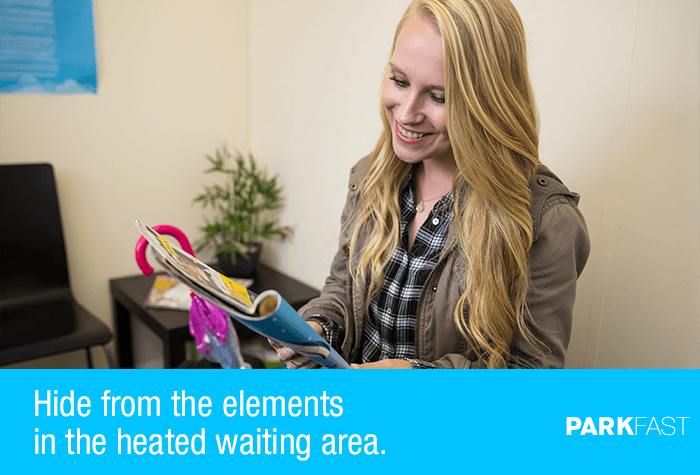 It leaves whenever you're ready, and takes just 5 minutes. 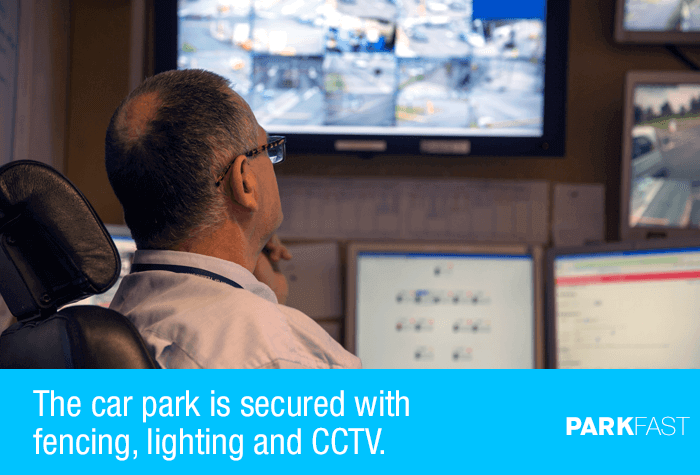 While you're away, there's CCTV, security fencing, entry barriers and 24-hour staff patrols. Disabled facilities - Blue Badge bays are available in the car park. The spaces work on a first come first served basis and you'll need to display your badge whilst you're away. Glide through the automatic barrier and grab a bay. Keep hold of your keys and head over to the car park's Pick-up Point, where you can catch a transfer to the terminal. Buses run when needed, 24 hours a day and take just 5 minutes. Best of all, transfers are included in the price, so you can enjoy peace of mind knowing every part of your stay has been taken care of.